I am sitting in the rocking chair in my 2-year old’s bedroom waiting for him to fall asleep. Two weeks ago, he learned how to climb out of his crib and now he does it all day and night. He’s tricky too. You might think he’s asleep and tip-toe out of his room, but he sneaks out just as quickly. Not until you hear something fall out of the medicine cabinet, or the splash of him dropping something in the toilet, do you realize he’s escaped. We spent the past week visiting my parents where Oliver slept on a crib mattress on the floor. The first two nights were rough, but not as bad as I’d expected. Falling asleep was a breeze, but he woke up really unsettled in the middle of the night, and getting him back to sleep was difficult. By the third day, we were in the clear – he went to sleep easily at nap and nighttime, then slept all night. However, we eventually came home. Now, we are back to the same issue we’ve had before, only it’s gotten worse. He will not sleep on his crib mattress, or an inflatable bed, on the floor. He only wants to sleep in his crib. The problem is, it takes him about an hour to fall asleep. He tries to jump on the bed, climb out of the bed, throw his pillow/blanket/buddy on the floor. He wants a tractor, more books, more rocking, to go potty, water, milk, etc. etc. etc. I’m not alone in this situation, most of my mom friends have mentioned this at one time or another. If you can’t relate, let me explain… a toddler without a nap is a complete nightmare – tantrums all day long. Also, selfishly, nap time is the only time stay-at-home parents of toddlers get anything done – cooking dinner, taking a shower, picking up the house, laundry, blogging – everything, other than playing, happens during nap time. Sit in the bedroom or in the doorway to observe so that you can gently remind your toddler it is time for sleep when he or she tries to get up. Unless you want to do this forever, do not pat them or snuggle them to sleep. It is so sweet, and very easy to do, but you’ll end up having to break that habit at some point. It’s better to be there for them, but let them find sleep without your aid. Be patient with your child and yourself. Your child has discovered some new found freedom, and that’s pretty cool for a kid. Let them relish in that a little bit, but be there to keep them safe. Let go of some of your expectations of yourself during that time: this phase doesn’t last long if you are proactive, but you won’t get much done if you are monitoring your little escape artist. Get your video monitor back out, if you have one. Once my kids got loud enough that I didn’t need a monitor, I quit relying on it so heavily. Lately, I have talked to Oliver over the video monitor several times and convinced him to lay back down without going back in his room. Make sure everything in your house is safe and secure. Areas we take for granted once our babies stop putting everything in their mouth include: medicine cabinets, toilets, stairs, electrical outlets, cleaning supplies, bathtub, and outside access. Lock all of this up so your toddler doesn’t get hurt when he or she escapes and you don’t hear them. 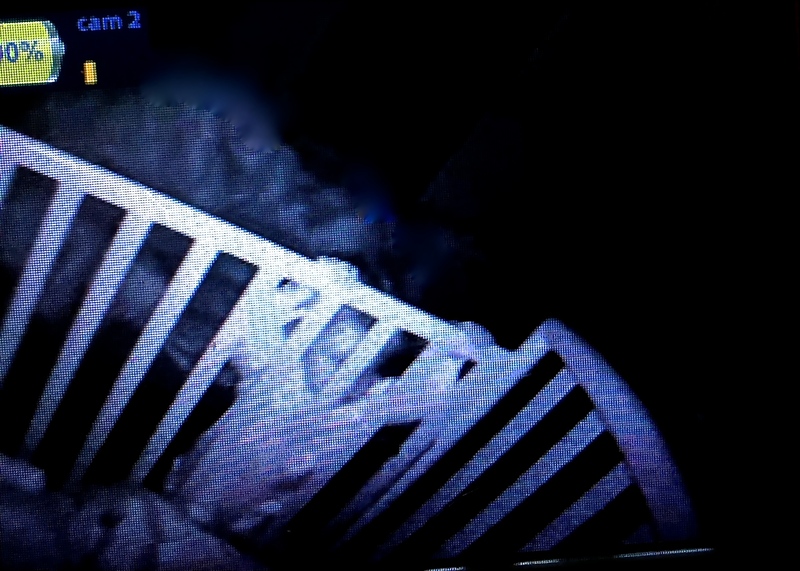 Happy and safe sleeping, toddler parents! This wasn’t a big deal with our kids. We quickly helped them learn that if they left their room they could only come to our room. In over 18 months out of the crib they haven’t ever deviated feom that plan.